Step into a world complete with floating books, a magical rainbow tree, book recommendations at every turn and the most comfortable beanbags in Redditch! All of this and more can be found in the library at Ipsley CE RSA Academy. After all, books are transportable portals to a million different worlds, and books we have a-plenty. At Ipsley CE RSA Academy we have a fantastic, redeveloped and refurbished School Library with lots of new books added to our collection regularly; our book of the month feature introduces children to the newest of books by upcoming and exciting authors. You have to beware, though… staff love reading the new releases just as much as the children! It’s a good job all classes have a timetabled library lesson every week in order to maximise their reading experiences and have quality reading time with teachers and our librarian. 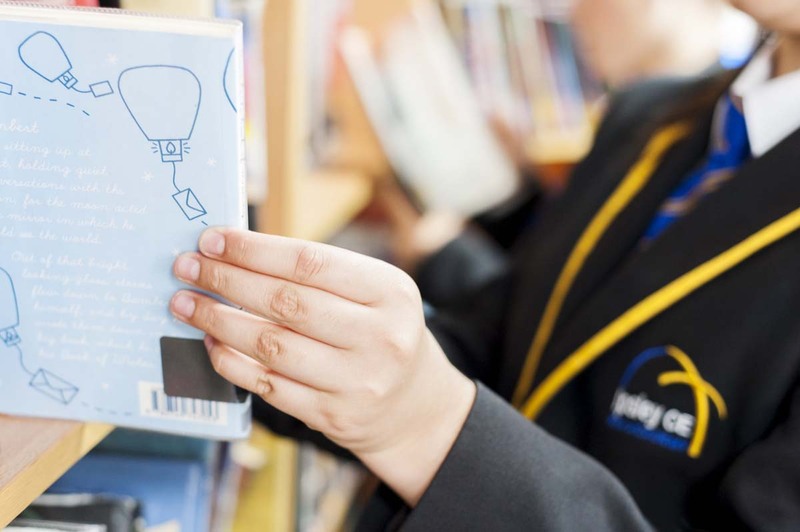 We care deeply about giving our students every opportunity to develop and enhance their reading skills, and as part of this, we use the Accelerated Reader programme with all students to help them improve their reading skills. We currently have 15 word millionaires amongst our fabulous students, who not only have experienced the amazing journey all those stories must have taken them on, but also received some fantastic prizes. Students also take quizzes on the books they have read; the names of all 100% passes can be found hanging proudly on the rainbow tree for all to see! Sitting under our fabulous reading tree is what you can find many children doing at breaks and lunchtimes, when our library is open for enjoyment and homework use. Mrs, Kegel-Duc, our librarian also puts on many events, such as Books and Biscuits, Roald Dahl Day parties and many more. Mrs. Kegel-Duc also runs a plethora of competitions, in which many of our students are successful.